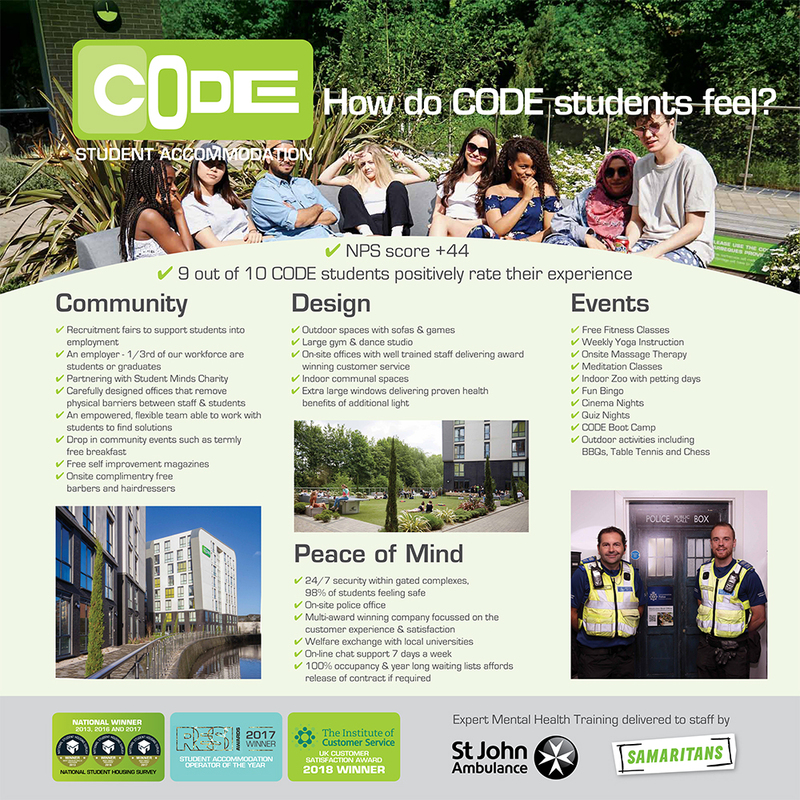 CODE recognise the importance of student’s mental health and wellbeing and proactively take steps to ensure that this is continually promoted throughout a student’s tenure at our accommodation by initially making sure the design of the accommodation has natural light and outdoor spaces, then to giving peace of mind with 24/7 security and an on-site police office through to running a diverse series of regular events throughout the year to build community all the way to employing graduates in our workforce, particularly on our Chat function, to provide peer to peer support. Implicit in this is developing our teams in aspects of Mental Health and Wellbeing in the knowledge that it affects all of us, students and workforce alike. Approximately 1 in 4 people in the UK will experience a mental health issue in 2018 and in 2016, 15.8 million UK work days were lost due to mental health illness caused by depression, stress and anxiety. Mental Health First Aid and Wellbeing as taught by St Johns Ambulance and the Samaritans enables management and staff to spot signs and symptoms of common mental health issues and then provide non-judgemental support, either face to face or by phone or alternative media, to give timely reassurance providing signposting to professional help if required to help recovery. 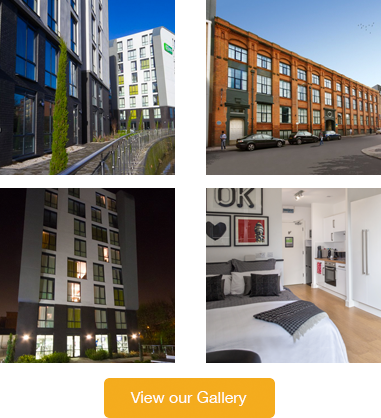 Our staff are on hand across extended hours 6 days a week so it is important that they also receive expert training in order to be able to provide the excellent levels of support that students require.